Thanks for posting. This has been within threads but nice to have it consolidated. I’ve just saved £45 so thanks. (y).....Sorry devinn,didnt wish to sound as if i was slagging of your posting.I think big brand companies could be knocking more money off than they do.That was my angle,and badly put too. Just got £20 off large Bosch fridge freezer online with LKA20R, Thanks OP! Neither do I, you can still try but they have always declined my requests when a code is needed, stating they will only match a discount code if it is clearly displayed on the website. If the code is clearly displayed on the competitors website. Code won't work on a security camera listed on their promotion for home delivery... Rubbish! Doesn’t work with ring doorbell listed under smart security? 2. Discount codes can only be used on orders for home delivery. Reserve &amp; Collect orders are excluded from this offer. 10% off any smart watch at Currys excluding Apple (as usual) It's actually a student discount but it's just a coupon without a unique link so it should work. My Apple Watch’s battery is dying. It’s a shame they don’t include Apple ones, as 10% would be 10% off their extortionate prices. 20% off seleted logitech pc gaming accessories: mice, keyboard, headsets. Valid only today. Thanks for this, just ordered the G613 keyboard. I've been waiting on a better price on one! Heat. Where do you put the code?? :o I've noticed a few times now on different deals when I try to give heat it goes cold. Maybe that's whats happening here? I sent a tv back to John Lewis within days for the same reason, when they got funny I said the component ports weren’t compatible with my Wii and they had no answer to that so took it and I reordered. Not sure why this is cold if the code works it's a great saving. It works with less than that:but it should expire tomorrow. It's there after you select the delivery date before payment. 10% off	10 % off all Microsoft Surface Products in Currys/ PC World/ Carphone Warehouse. 10 % off all Microsoft Surface Products. In store or online . DISCOUNT CODE - 10% off the marked price. Enter code MIC10 at checkout. Also available in store. Nice. Want the pen for mine, but £90 hmmm..... anyone know of a good compatible one ? No it finishes 6th June. Finishes soon, hopefully good for someone. I had no intention of using the code but whoever used it didn't even say thank you. Some people don't deserve free things. i ordered a samsung 55 inch Q6f and the voucher was just amongst the recipts. no mention of the promotion prior to purchasing. Does anyone know what the actual offer is on this. Need (wife says wants but what does she know) a new tv and an x1x. I got the Parrot disco. after discount it costs 314.10. cannot believe the price. seems to be clearing. Am I right in saying that John Lewis don't price match voucher codes? And god help you if anything goes wrong! I checked their prices on the Samsung UE40MU6470 (basically the 6400 but with a 70 so they don't have to price match). Voucher code LSTV100 as part of this amazing sale gives £100 off a TV they increased the price of by £110. Curry's discount codes are absolutely worthless. It does show on the order invoice but they will still refund the original value of the TV, meaning you get to keep the Xbox at the discounted price. 10% off online until Monday (I assume until midnight as I've not found an exact time). I've just saved £18 on a Nespresso machine. Can't believe you paid £162 on a Nespresso machine! Hey, I was gonna buy my daughter a laptop - if anyone has got a voucher I might be able to get her a better one! Would be gratfully thankful! I don't want a code,but if there's one goin,I'd waste on an iproduct. Got any of those spare codes? Anyone pm me a spare code please? Just enter code at checkout! Hope it helps. I spoke to someone at customer services know how team she was brilliant! The TV I wanted want available locally, and I couldn't order online as I had a replacement voucher to use. She reserved me one at the closest store and confirmed I could use tv70. She was spot on! Really I was shocked. I've had such bad service till now. So I got the 55 inch Sony android 4k for£680 less my voucher! Really pleased with it. Well, 45 minutes on hold to speak to someone who was very helpful and logged my call and the voucher etc, but... as as it was an in store purchase I have to go in store to get the refund. ill report back once I find time to go in store. More Info	Save £40 off your order when you spend over £400 on two or more large kitchen appliances. OK if buying a tv but i'm sure argos &amp; others had these around this price with no other purchase ? My recommendation would be the The Denon DP200USB USB Turntable is a excellent item and Denon / marantz are renowned for quality. But what is good to someone else’s ear may be utter rubbish to yours. If you live near a richer Sounds call in most have demo rooms and try before you buy. Good luck. Shame they don't sell proper record players. I'm in the market to buy an AT-LP3 (read the reviews too!) 20% off would have been nice. Anything you can recommend? The Audio Technica LP120 gets solid reviews and is pretty much the same (discounted) price at both Curry’s and Richer Sounds. Cannot see any deal here personally I’ve seenFar better quality turntables at far better prices at richer sounds. Enter code MEDION10 at checkout for home delivery orders. Not available in conjunction with any other offer. Offer ends 02/12/17. They increased the price by 10%. This is not a deal. Fraud... S3409 i3 version is £499 before Black Friday. Anyway not voted! Tried on a gaming laptop in a Currys basket, this code won't work. Erm, no. I weren't joking. I used it today actually. Discount is off PC gaming accessories only. Consoles accessories not included. They have a very narrow definition off gaming accessories. 30% marked prices off all PC gaming accessories at Currys for their black tag event. Doesn’t work with VR so not all accessories! Just bought a hyperx fury gaming mat for £20.99 and they are £29.99 everywhere else at the cheapest! Yes I am very happy with both R7 units. Look really good in white. Sound quality is very good, I knew these produced good output when I tested in a store a while back. Paired up they sound great. Had some initial issues at first with the connection dropping (in the Samsung app) but when I updated both of the firmware I haven't had any further issues with them. There are enough music services to use through the Samsung app so for me Google Play music isn't an issue. User interface is very good with controlling the speakers either together or separately. There are presets for sound or you can configure them with individual equalisers. They do go very loud so no issues filling up a room with music. They are quite heavy and I wouldn't recommend hanging them from the ceiling (if you can find anyone who stocks the Samsung ceiling brackets) but the floor stand looks nice albeit flipping expensive. For the great offer on these speakers (£299 for 2!) it is well worth it. Comparing them to my Harman Kardon Onyx studio 4's that I have - I would say the Onyx studio 4's have slightly better base and mid range depth but you can't pair up the Onyx studio 4's which you can with the R7's. Also the R7's are bigger and heavy so not the easiest to move about (which I wouldn't do anyway!). Ordered a couple of R7's as they seemed a great price. Everyone happy with their purchase? I assumed they would of had a line in but it appears not. Also don't support Google Play Music? Any feedback of how people find the sound quality and user interface would be much appreciated. Thanks. Good man. I just collected mine. Look gorgeous. Brilliant price. So I called Curry's again after reading your message and it transpires that the order hasn't been cancelled and my speakers were delivered to my local store yesterday lunchtime. Apparently the agent I spoke to last night was confused about an internal email regarding a different offer involving a Samsung soundbar and TV. So I'll be collecting my speakers on the way home. Happy days! It sounds like you're in luck then! I didn't receive any tracking details which is why I called them. Iv'e complained to their customer services but haven't even had a response! Just remember that the new Vertuoline machines don't use standard Nespresso pods. This new style of machine is specifically designed to reinstate the patent on Nespresso pods so just watch out. The aerochino is often a free redemption too. Anyone tried the new machine that does the new multisize pods? I've had 2 Nespresso machines, the first one was the Lattissma but I found it a pain to keep cleaning the milk container and flushing it out. The one I have now is the Inissia which I have had 3 years and was the cheapest machine available, it's been amazing. If a guest want's a milky coffee I bought an milk frother from Aldi for £15. There is no point spending a fortune on the Nespresso machines, they all do the same thing to be honest. on till 31st just currys i think ! Any idea how long this is on for? Can get 7% off through gift vouchers through my gym too, so quite tempting. And is it just Currys or a gopro wide promotion? Have Curry's done their usual trick of putting the price up by 10% a week beforehand? all cameras marked which are included in the offer. Canon 77D looks good with £85 cashback as well.- £664 I make it. Probably can get it cheaper from ebay or somewhere but you get to have a shop you can test it at before buying. Despite starting life as a bicycle shop in Leicester in 1884 in the 20th century, Currys became the UK’s largest seller of electrical products. The company has been owned by Dixons since 1984, and has consistently expanded by opening over 500 stores across the UK and Ireland. The firm also added computers and gaming products to its range when it merged with PC World in 2009. Customers can either choose to visit a local Currys superstore or purchase their items online at www.currys.co.uk. If you would like to find the nearest store, head to the Currys website and use the Stores tab. Here, you can just enter your postcode or town name, and maps to local stores will be displayed. 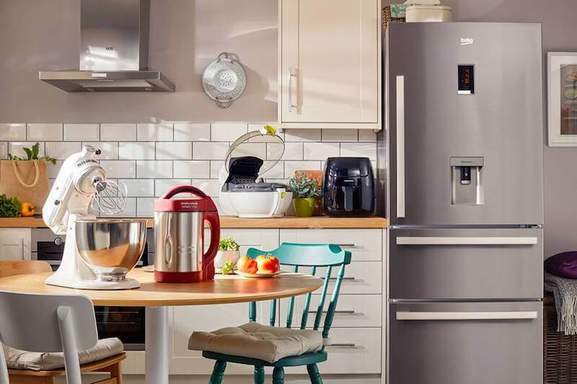 Kitchen Appliances – Features washing machines, dryers, dishwashers, fridges, freezers, microwaves, stoves, ovens, built-in appliances, cookware, bakeware and scales. Small Kitchen Appliances – Includes items like kettles, toasters, juicers, food processors, sandwich makers, pressure cookers, fryers, rice cookers, coffee machines and coffee accessories such as travel mugs and grinders. TV & Entertainment – Includes large and small screen TVs, TV accessories like cabinets and mounts, Smart TV and digital boxes, DVD and Blu-ray players, home cinema systems, sound bars, soundstages and projectors. Gaming – A subset of TV & Entertainment, this includes game consoles like the Xbox One and PlayStation 4, controllers, console games and PC games. Cameras – Features digital cameras, camcorders, camera accessoires, binoculars, lenses, telescopes, flash guns, memory cards and frames. Audio – Includes headphones, speakers, radios, Hi-Fi systems, multi-room speaker systems, personal CD players, MP3 players and MP3 accessories. Computing – Features laptops, iPads, eReaders, tablets, desktop PCs, projectors, monitors, mice, printers, scanners, printer cartridges and PC accessories such as hard drives, smart drives, networking equipment, components, upgrades and a wide range of software. Phones – Includes pay monthly phones from Carphone Warehouse, SIM free phones, home phones, broadband dongles and sat nav devices. Smart tech – Includes fitness trackers, smart heating and lighting, power monitors, dash cams, CCTV and Apple watches. 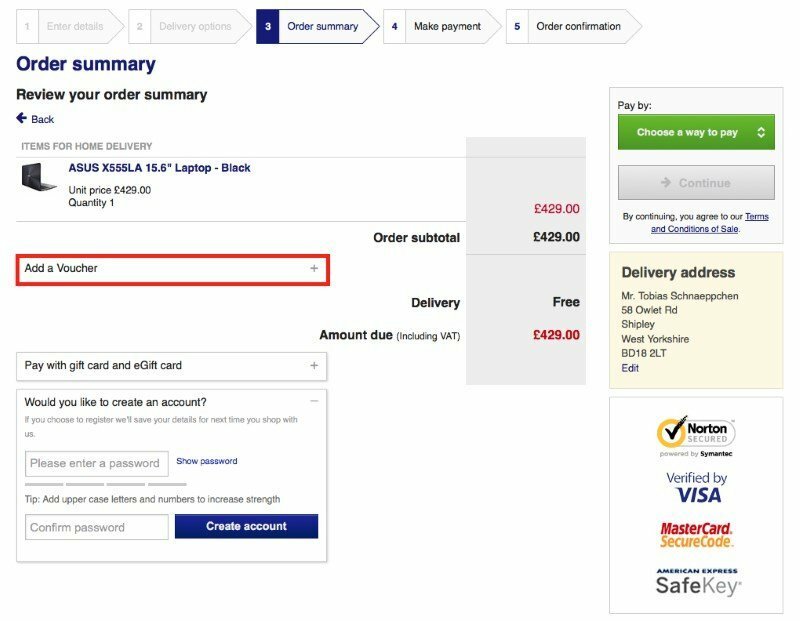 Customers shopping at currys.co.uk should simply select the desired items as normal and add them to their online shopping basket. When you purchase any item, Currys allows you to specify delivery plans and “care plans” which provide free replacements within 3 years if faults occur. Customers are not required to register, but they must supply an e-mail address before checking out. Currys‘ price promise scheme guarantees that you will get low prices. Customers have the option of creating an account with currys.co.uk. To do so, head to the "My Account" section on the home page and enter your e-mail address in the required field. Then, simply enter the relevant personal details to complete your account. 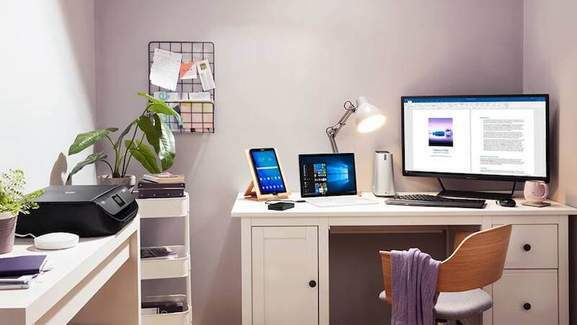 Being a member of currys.co.uk means the company can keep you informed about all of their deals and new products as well as allowing customers to manage their orders easily. It also makes checking out much faster for future purchases. Currys often has major sales, and there will always be discounts on specific product lines. You can see a list of the most recent deals by heading to the "mega deals" section of the Currys website. You can filter the offers by product type, price or brand. There are also specific pages for deals on computers, small appliances, large appliances as well as TV and entertainment. In addition, Currys holds annual Christmas and January Sales, along with reductions scheduled around major sporting events. The company also plays a big role in the Black Friday retail event, held every year in late November. 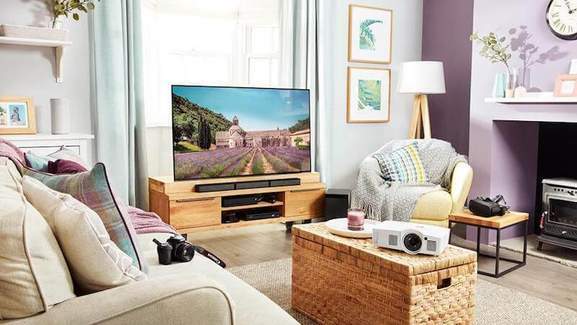 Currys guarantees that they “Won’t be beaten on price” over Black Friday, so be sure to take advantage of their deals by checking the Currys hotukdeals Black Friday listings. Shoppers at currys.co.uk can use the following payment methods: American Express, Maestro, Visa Credit, Visa Debit, MasterCard and MasterPass by MasterCard. All transactions are protected by Verified by Visa, Norton Secured, MasterCard SecureCode or American Express SafeKey. The online store also uses SSL encryption to provide a further layer of security for its customers. Shoppers can also pay upfront or pay in monthly installments over a period of 6 or 12 months. Products can also be leased and upgraded whenever needed. Standard deliveries will arrive within 5 working days for small items or next day for larger items. Standard delivery is free, and items will arrive between 8am-5pm on weekdays and 8am-12pm on Saturdays. Next Day Delivery for small items will arrive between 8am-5pm if the order is placed before 9pm the previous day and costs £3.95. Next Day Delivery for larger items is free, and items will arrive from 7am-8pm on weekdays. There is no weekend service. Same day delivery is also available on weekdays for smaller items and customers have the opportunity to designate a specific time slot for any of their deliveries. Both of these services cost £3.95. All orders can be tracked online. Larger items can be tracked via Know How Track It. For smaller items, you can click on the tracking link in your confirmation e-mail to locate your items are. E-mail reminders will be sent to all customers when their orders are despatched, and approximate delivery times will be supplied for larger items. Alternatively, customers can choose to Pay & Collect from their local Currys store. If you choose this option, remember to note down your unique reservation code that comes with your order confirmation. Orders should be ready for collection within 1 hour of placing them. If you’d like to cancel an order before it has been received, you can call the Customer Service team on 0344 5611234. All unwanted items can be returned to Currys within 21 days of receipt, providing they are still in their original packaging. If you open a product and find that it is not the right item or it is damaged, you can return or exchange it within 48 hours. Faulty products can also be returned within 30 days. To make a return, you first need your proof of purchase, whether that’s a confirmation e-mail or a physical receipt. Now, you can either call the KnowHow customer service centre on 0344 5611234, e-mail Currys at customer.services@currys.co.uk or take the item back to a Currys store. Your return will be processed and you will be advised about the best way to return your product to Currys. You can also find out about new offers, read how-to guides and enter competitions at Tech Talk, the Currys blog. All customers can also choose to sign up for the newsletter on the website. Currys have launched a price compare app to help customers find the best deals. The app is downloadable from the iTunes App Store for iOS devices and the Google Play Store for Android devices. There is also a handy TV Size Finder app from Currys PC World for Android devices. To download it, visit the Google Play Store. You can give their customer services team a call at: 0344 5611234 (8am-8pm Monday to Friday, 8am-6pm Saturdays, 9am-6pm Sundays). The customer service team can also be e-mailed at customer.services@currys.co.uk. Additionally, the company has created a set of FAQs to guide customers, which should be useful for answering simple queries. Head to the Currys website and shop as normal. When making your purchase enter your e-mail address, then your delivery details. Now you should arrive at the “Order summary”. Before you enter your card details, scroll down until you see a box marked “Add a Voucher”. Enter the discount code and press “Add”. The saving should be subtracted instantly from your order subtotal. Then you may complete your order as normal. Currys offers personal gift cards to use both in-store and online at their webstore at www.currys.co.uk. Gift cards can be purchased online on the gift card page in amounts ranging from £10 to £500 in three different designs. When you order a card, click the “Send to a friend” option and add a message that can be delivered straight to their door. The delivery costs £1.95 with 1st Class post. Using a Currys gift cards is simple. At the online “Order summary“, you can enter your gift card number and PIN. Look for a box marked “Pay with gift card and eGift card”. The gift card number is the 18 digit code on the back of the card. To the right of that number, you’ll see a silver foil box. Scratch this off to reveal your PIN. “Add your gift card“ and just make a purchase as normal. Any remaining funds on the card will be retained for future use. You can keep track of the latest discounts of electrical retailer Currys by bookmarking the Currys merchant page at hotukdeals.